Join our Educators Group for special educator content, offers and our Educator's Discount, exclusive to schools and educational organizations. 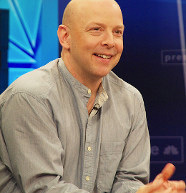 As founder of Tinkering School, The Institute for Applied Tinkering and Brightworks, 10 years of Tinkering experience has taught me that kids can build anything, and through building, learn anything. But not every kid can come to our school or camps. So we’ve started Tinkering Labs to make the problem-solving skills, knowledge and confidence that Tinkering enables available to all kids. 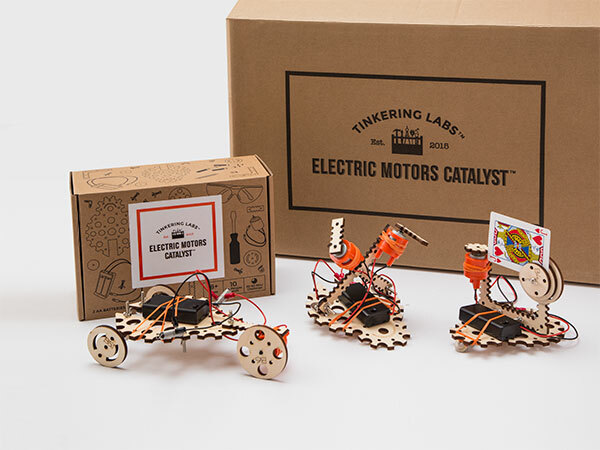 Help us bring the pure joy of invention to kids in your program with Tinkering Labs Catalysts. EASY: No special training or maker lab required. 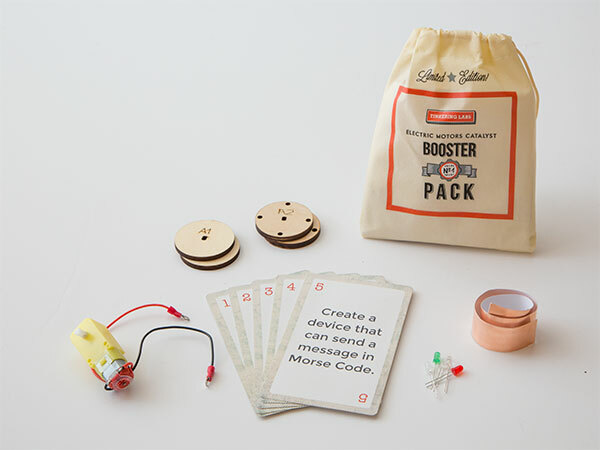 Includes everything you need to get your classroom inventing right away. REAL: Real parts, real science, real engineering. Recognizable materials allow kids to connect the parts with the world around them. PROJECT-BASED LEARNING: Open-ended Challenges actively engage students in authentic learning experiences. 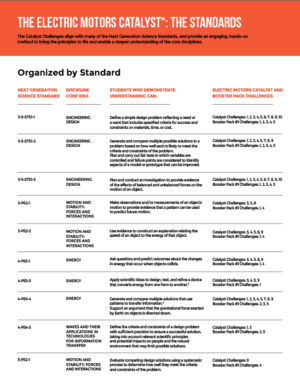 STEM, STEAM & THE STANDARDS: Each product relates to principles of science, technology, engineering, art, and math, with fun ways to meet NGSS and Common Core standards. When children are curious, learning follows. Our students respond to how “real” the Tinkering Labs Catalyst is - real motors, real wood parts, real hardware. 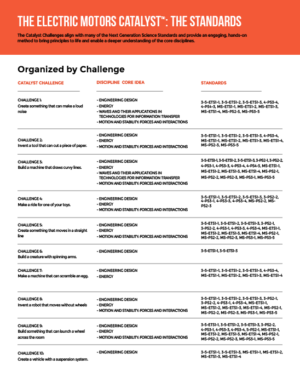 The Challenges give our students creative, hands-on problem-solving experiences that stretch their thinking. We operate after-school programs for thousands of students, so it’s a very diverse population. 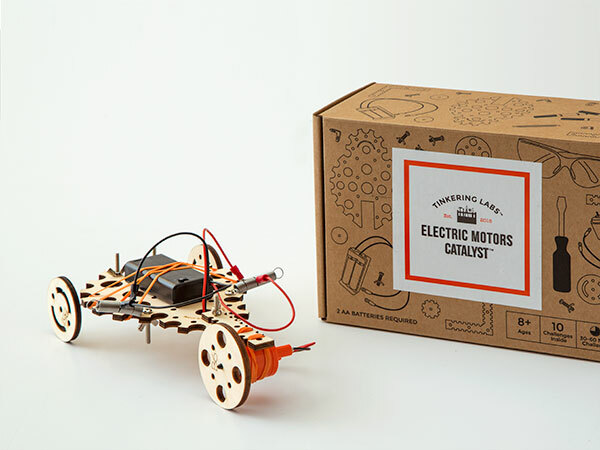 It’s hard to find products that promote STEM learning, truly engage kids’ creativity, are effective across a wide range of ages and abilities, and require no specialized teacher training or equipment. Tinkering Labs delivers all of that. We love this kit! We’re doing one Challenge a week with our 3rd and 4th graders, and the enthusiasm our students bring to it is amazing. 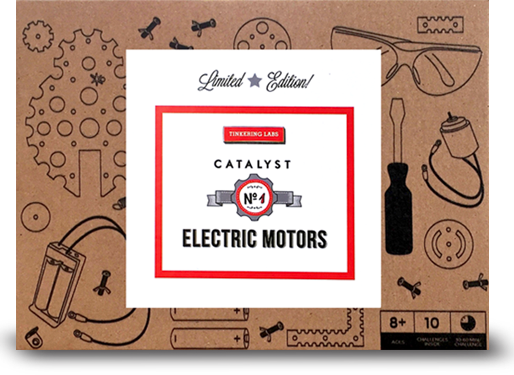 We incorporate the Catalyst Kits into our unit on circuitry. The various components allow our students to play with concepts of engineering and electricity. Through their own process of tinkering, they are able to make meaning and develop a deeper sense of understanding. I use the Catalyst to bring STEM access to my students. Students have such a fear of failing - we so often give them very narrow parameters for success, and the Catalysts offer students a very broad definition of what success can look like.